Register on the best Philippine marriage agency and matchmaking services to meet your new wife --- an island lady! Philippine women from an early age, already know the essence of being a woman. For many Filipino women, being a lady means attending to their responsibilities to their partner and household, and this includes building a family of their own. This is due to their traditional upbringing and religious beliefs. At a young age, these women are aware of their role within the household, as well as in society. This is the reason why these women are described as ideal life-long partners. They are considered as very flexible women --- competent in the corporate world and capable homemakers as well. Indeed, the Philippines is a nation of strong women and these ladies know what they deserve. In romance, they are open to the possibilities of marrying foreign men, if it means having a genuine and long-lasting relationship. 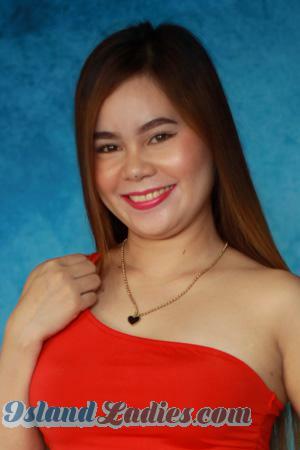 If you are looking for Philippine women seeking marriage with foreign men like you, then the first thing you need to do is register on our site. After doing so, you can begin browsing through the personals, so you can choose the single Filipino woman to interact with. Meet your Philippine bride by signing up on our site for free today! Every girl has her own distinguishing characteristics. The admirable qualities of a woman make her an ideal wife. One of the most ideal lifetime partners are women from the “Pearl of the Orient”, the Philippines. There are a lot of commendable qualities a single island lady possesses. Aside from being hospitable and beautiful, these ladies are very traditional due to the Philippine culture. At a young age, they are taught the ideal values and traits that they must observe, which includes placing a high value on their family and partner. As a result, these women take relationships seriously and prefer long-term relationships that lead to marriage. For most single Filipino women, fooling around and casual dating is a waste of time and is not worth their efforts. Other than being traditional, Philippine ladies are very respectful. This is one of the exceptional qualities that modern Filipinos possess even today. They use “po’ and “opo” to show their respect and kiss the hands of the elders. They also respect the authority of the male figure in their lives, including their fathers, brothers, and husbands. Single island ladies are innately kind as well and are willing to help others in need. Philippine wives often prioritize the needs of their family above their own and for them, the most important aspect in life is their loved ones. As mothers, they tend to be strict, but they are always kind and reasonable when raising children of their own. This is why young Filipinos often look up to their mothers as their source of strength and support. These are just some of the many qualities that these ladies have, which captures the attention of men from all over the world. With all of the characteristics mentioned, you can never go wrong with marrying younger Filipino women. You not only have a beautiful and loving wife, but a perfect woman to build your family and future with as well. 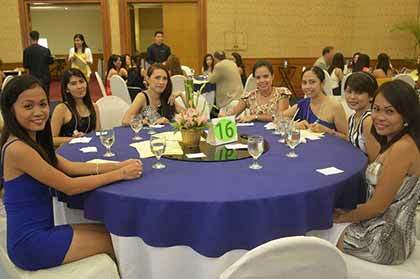 The best Philippine marriage agency, is here to help you in your pursuit for everlasting love among Philippine girls. Register on our site today and start your search for your very own Philippine bride. Join our singles’ tour and don’t miss the chance to meet hundreds of single Filipino women seeking marriage with foreign men like you. Why are Island Ladies Attracted to Older Men? FIlipino women have opened their doors in dating foreign men. In the Philippines, it’s a common scenario to see a young woman dating an older man. While there are some misconceptions about this type of relationship, many of these couples are genuinely happy and in love. There are plenty of reasons why this is so. These women are serious about dating and finding the most ideal partner to spend the rest of their life with. However, most men their age are still finding themselves and establishing their careers, which means marriage and a long-term commitment is out of the question for them. Older men on the other hand, are more likely to seek stable relationships and are thinking about starting a family of their own. Older partners have already established their careers, which means they are financially stable and capable. This ties in with Filipino women’s preference to start a family at a younger age, since they’re confident that their partner is able to support their children’s needs. While most Filipinas value their careers, they often put it on hold for the sake of their family. Older partners have more experience, which is why they are more mature. They know what they want and have set goals, which means they can handle matters maturely --- including romantic relationships. Many Filipino women prefer a man who has direction in life and can handle a genuine relationship. Along with maturity comes making good decisions in life, and this includes having the ideal lifestyle that most single Philippine girls prefer. These ladies are health-conscious and while modern in many ways, are still traditional deep down. This means they prefer men who have a healthy lifestyle, away from vices and other distractions that younger men tend to engage in. 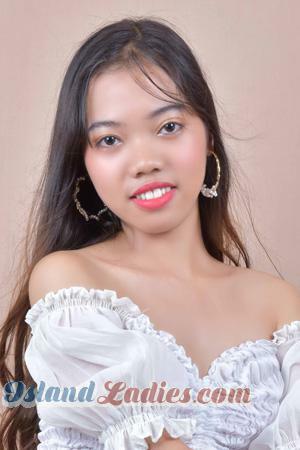 Get yourself an amazing Filipino lady to spend the rest of your life with through our romance tours; remember, you have to meet her, to marry her! Nowadays, single Filipino girls are one of the most sought-after brides by foreign men from across the globe. This is due to the many endearing qualities these women possess. Marrying one means having a partner that can transform your home into a loving and happy one. These island women are also considered the firm backbone of a husband. They will be beside you through thick and thin and are always ready to support you in whatever decision you will make. You can also never go wrong with marrying a Philippine bride because she is a loving nurturer. She will surely raise your children right and pass on to them the traditional values that shaped her into the person she became today. This ensures that your future children will grow up to be well-rounded individuals. Having known the qualities of a Filipina, consider signing up for one of our romance tours to find the Philippine bride of your dreams. Start your journey to a fulfilling married life with a beautiful island lady through our site today. Registration is completely free.